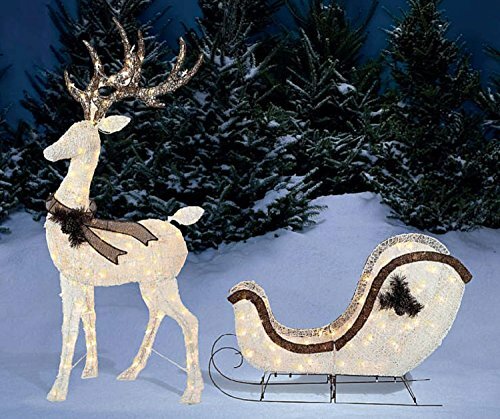 Light-Up Buck Deer & Sleigh, 2-Piece Set Christmas Yard Decoration by Winter Wonder Lane at Two Clock. Hurry! Limited time offer. Offer valid only while supplies last.